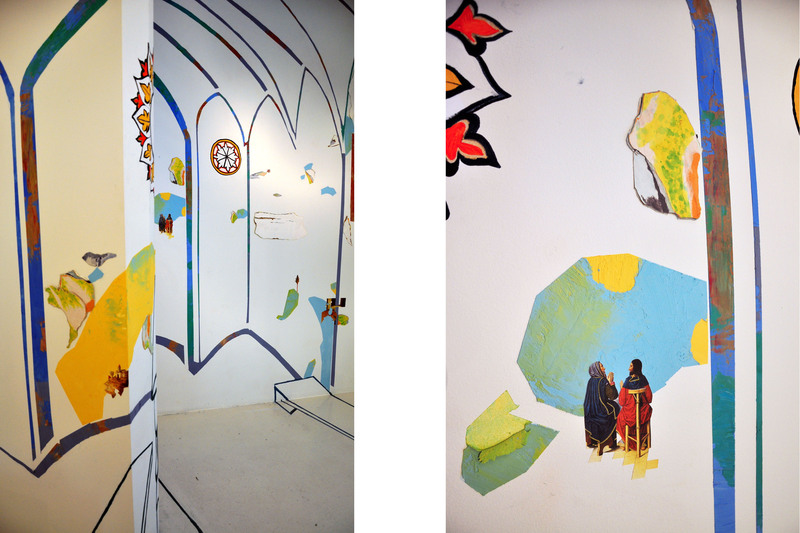 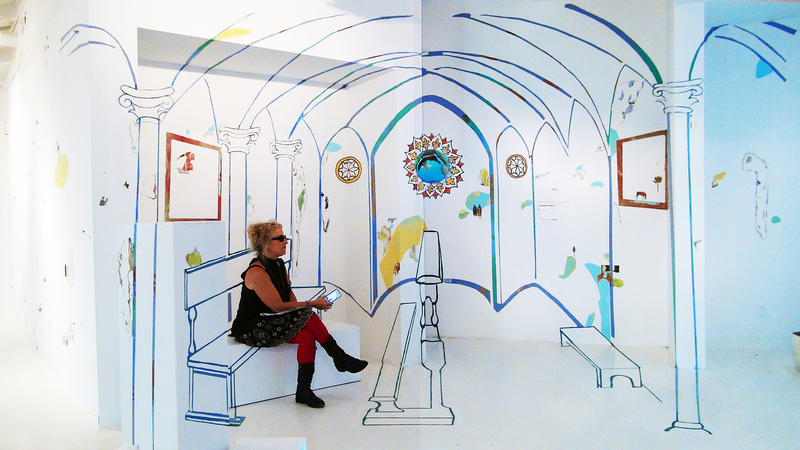 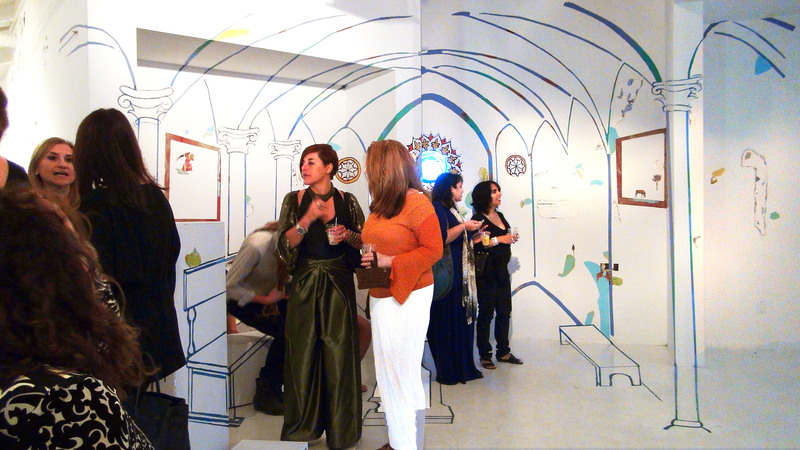 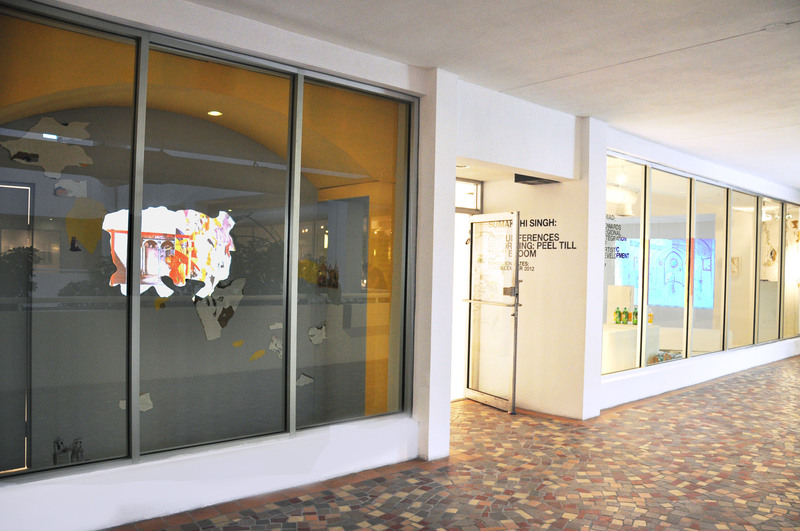 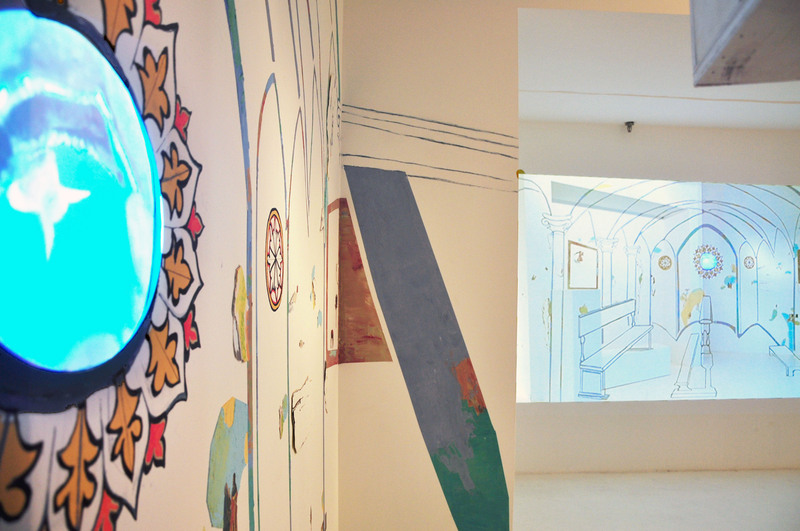 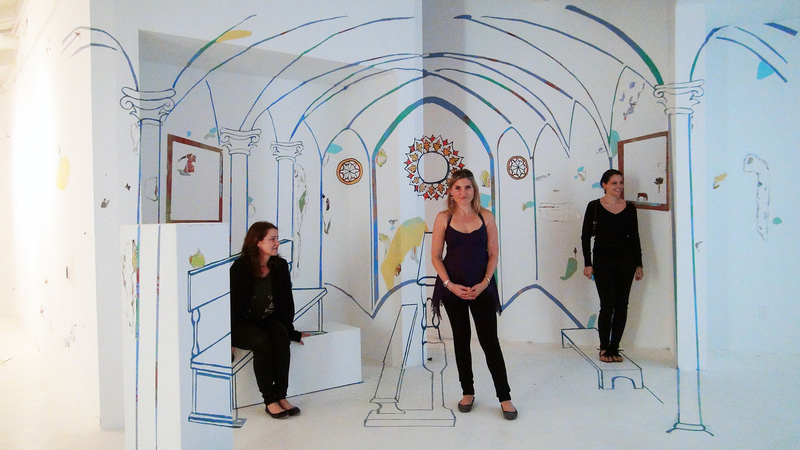 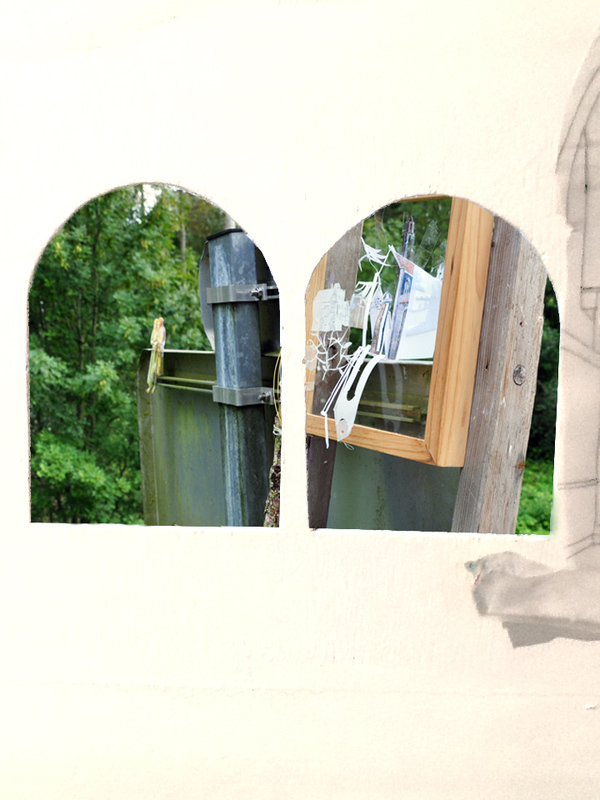 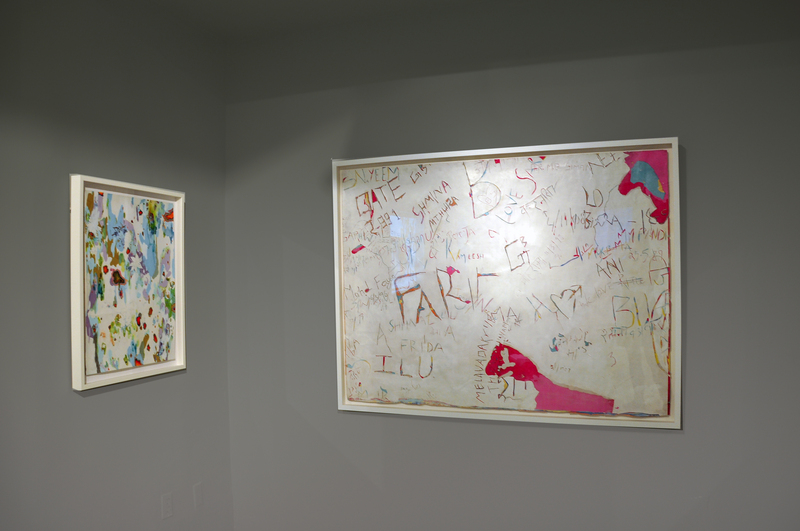 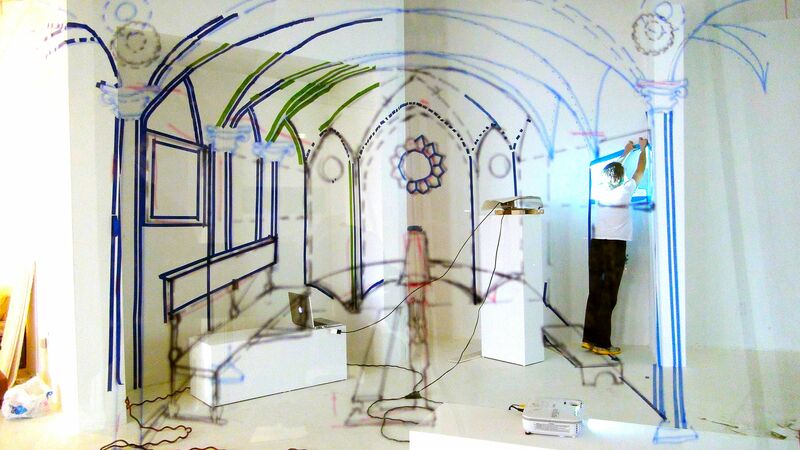 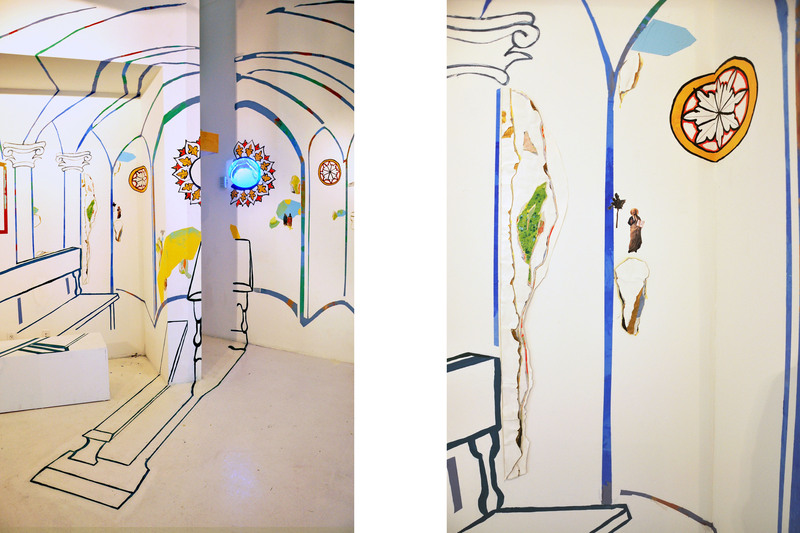 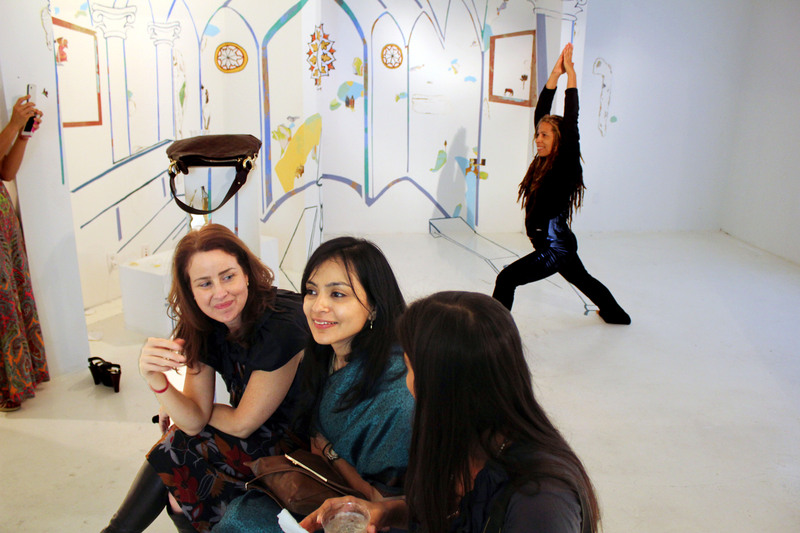 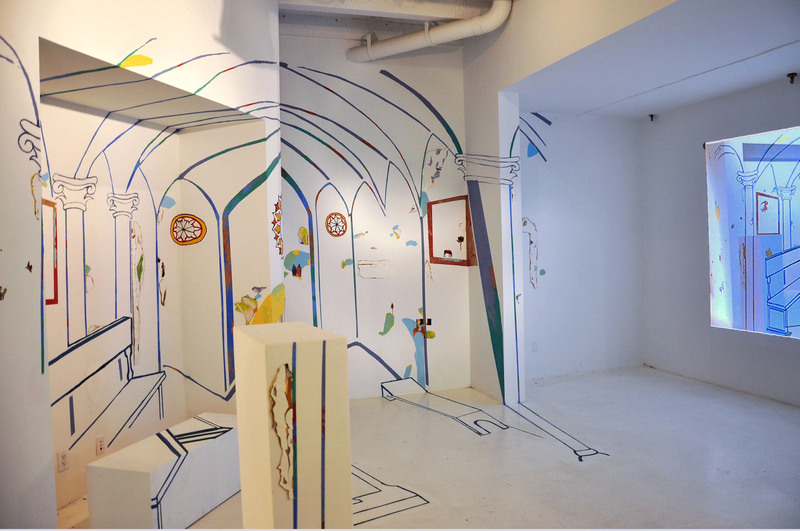 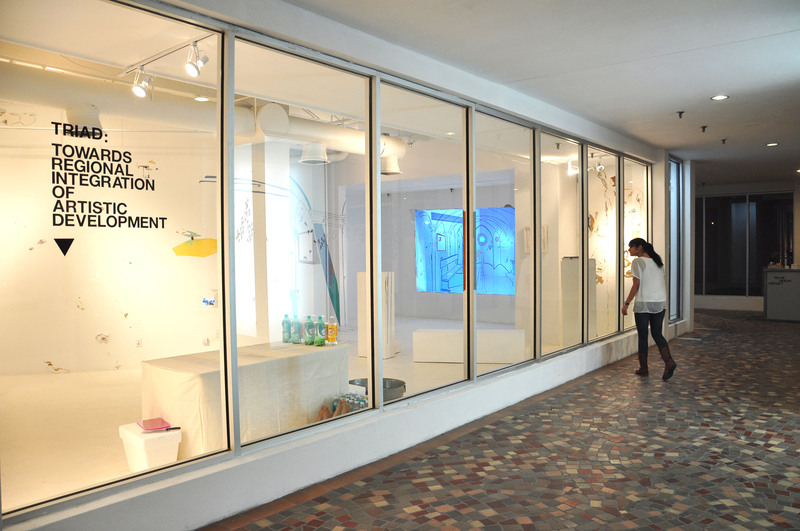 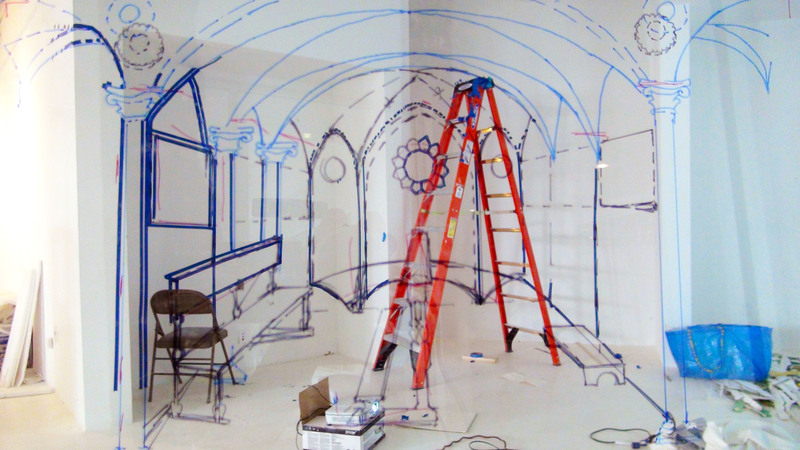 Installation view: aligned illusion of the Fra Angelico church image. 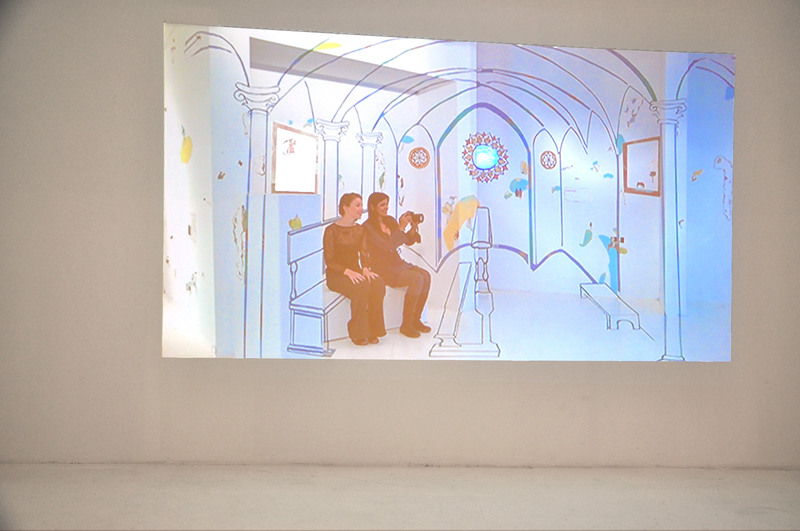 Viewer watching herself in projection. 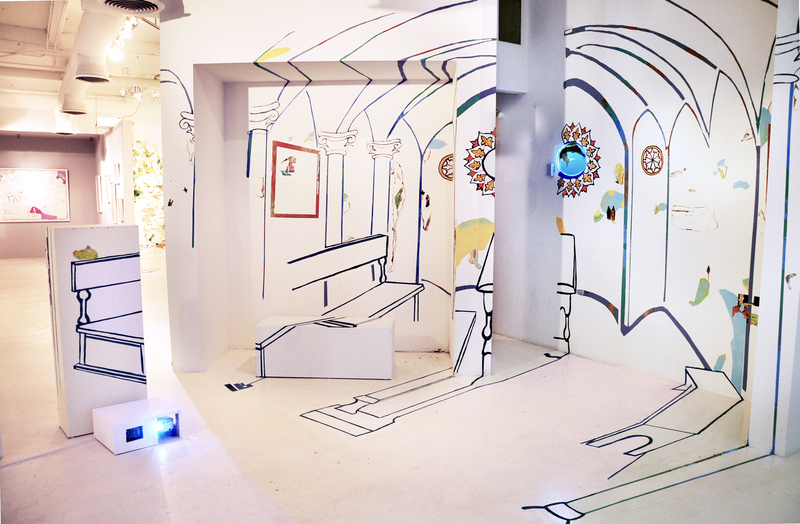 Installation view: aligned illusion of the Fra Angelico church image. 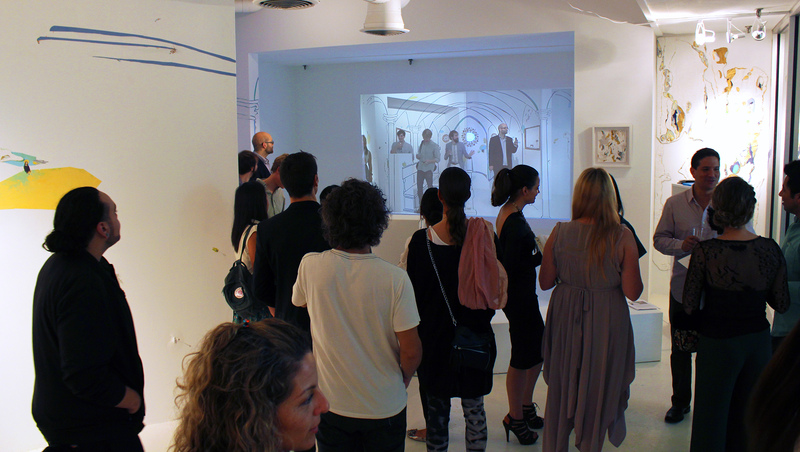 Viewers watching themselves onscreen in the aligned illusion of the Fra Angelico’s church. 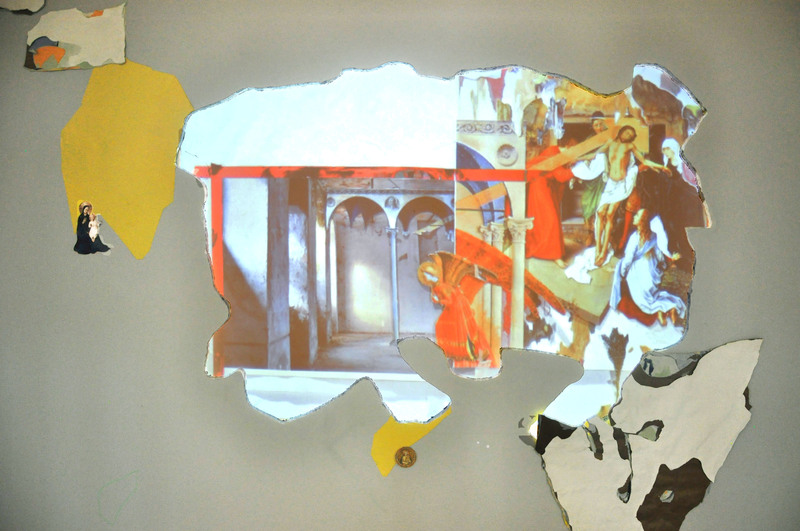 Fractured illusion of the Fra Angelico’s church and aligned view seen in projection. 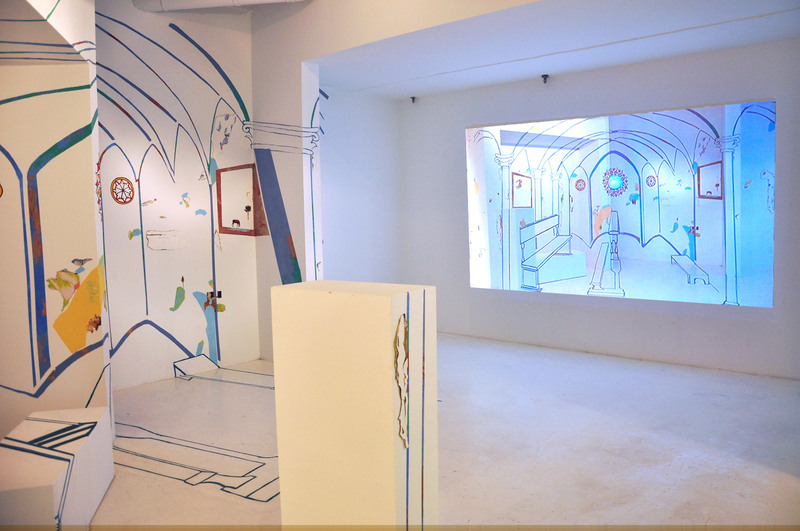 Project Description: The image of a Fra Angelico fresco comes to life in the window animated with moving angels and deteriorating churches. 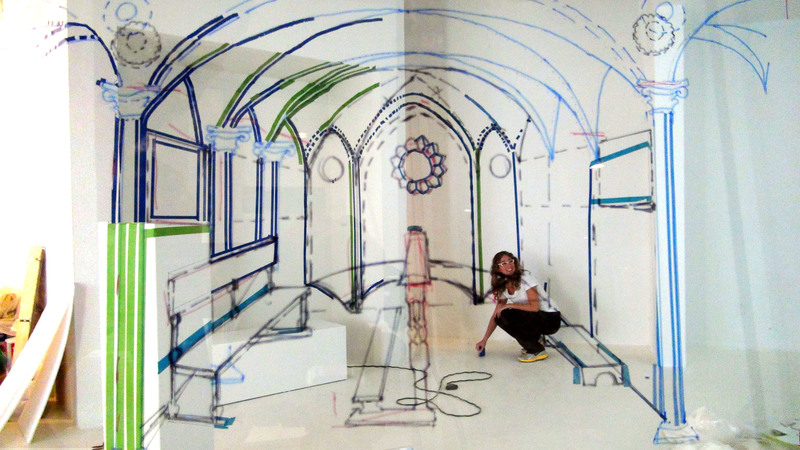 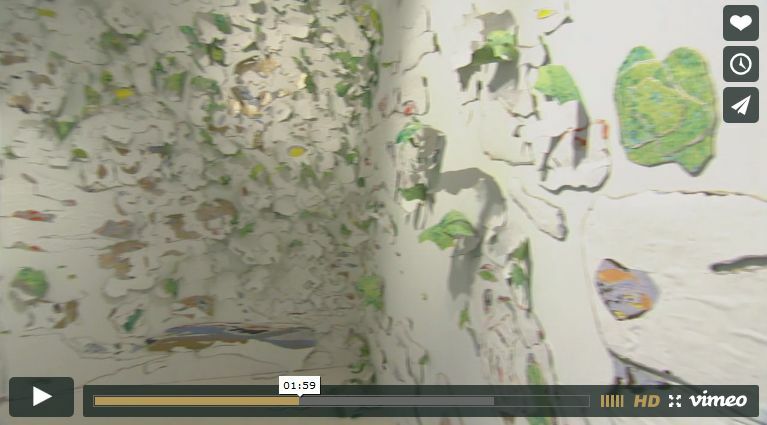 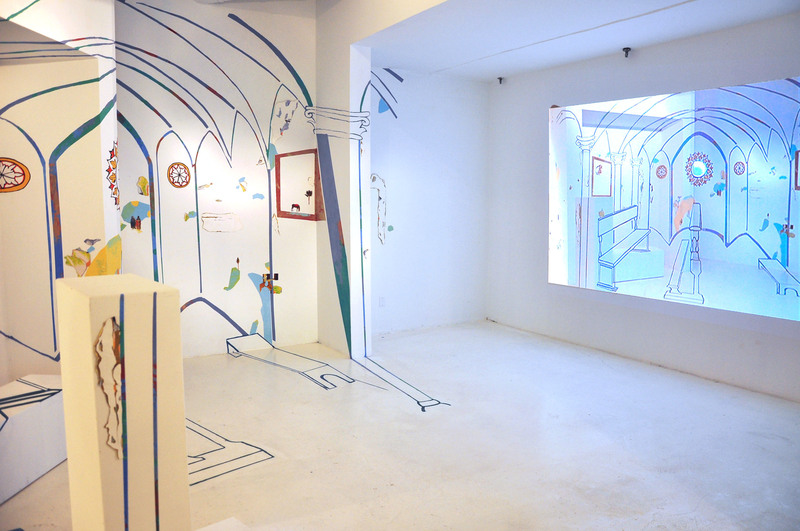 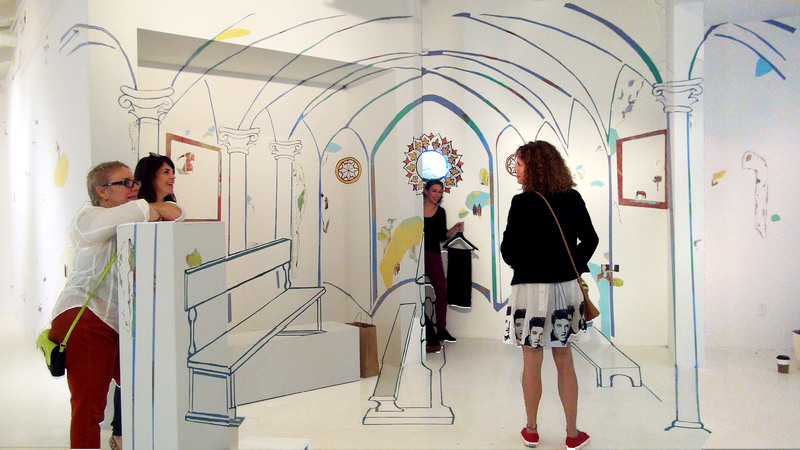 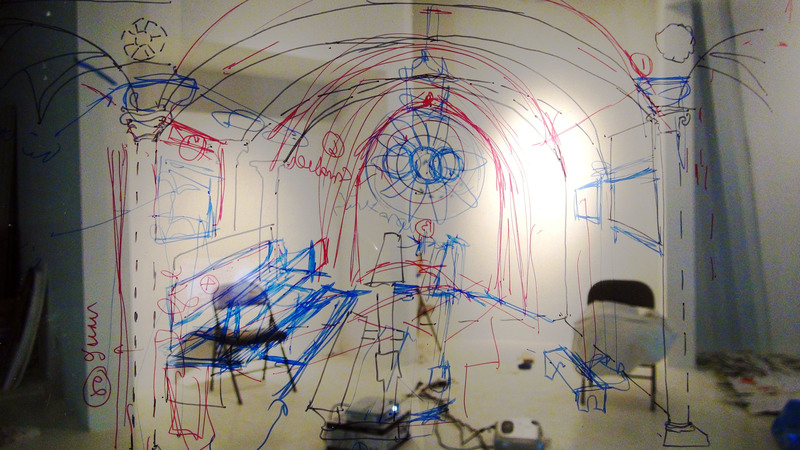 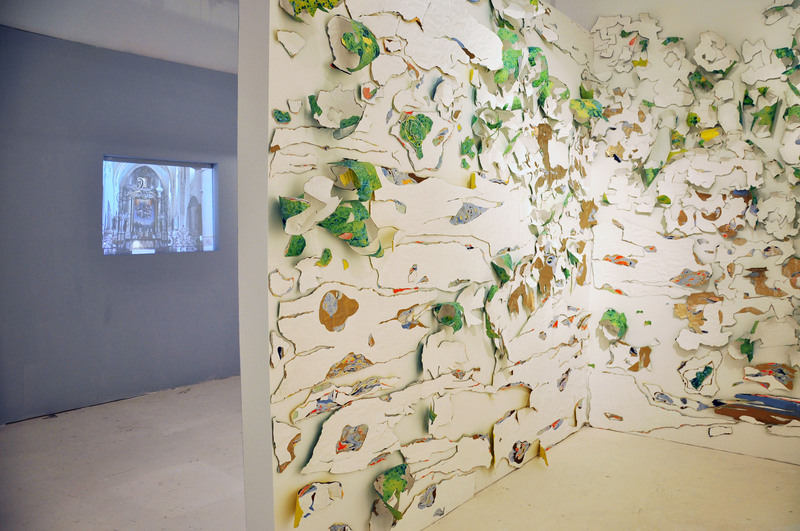 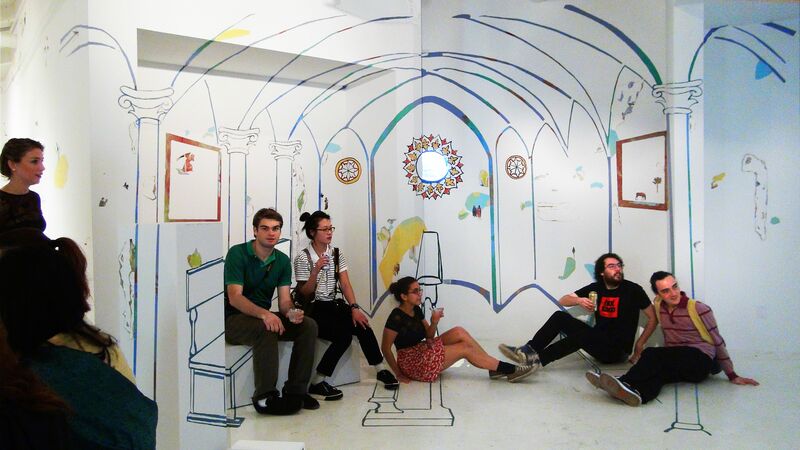 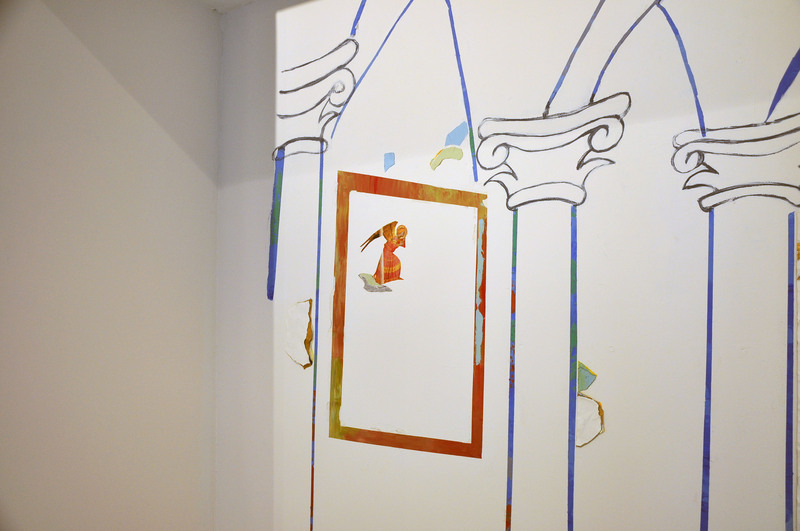 A 3d illusion of the same church is drawn with colored plaster on various surfaces in the gallery, and viewers see themselves in a projection, entering this image, becoming a character in the painting. 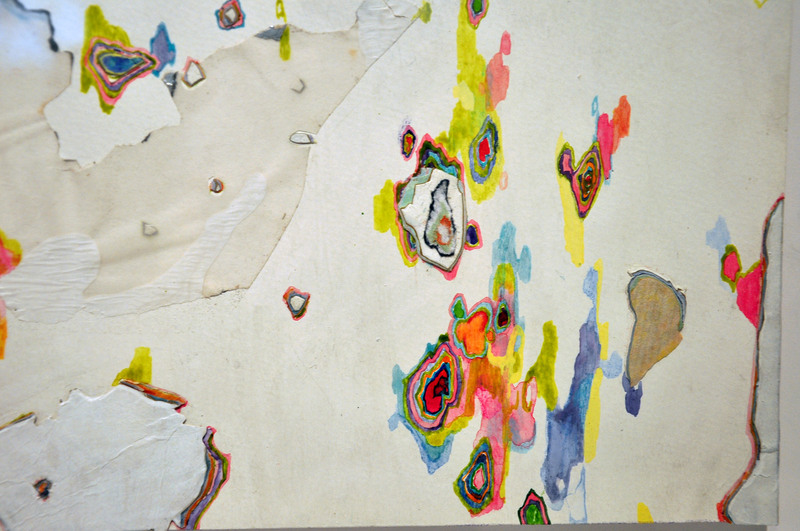 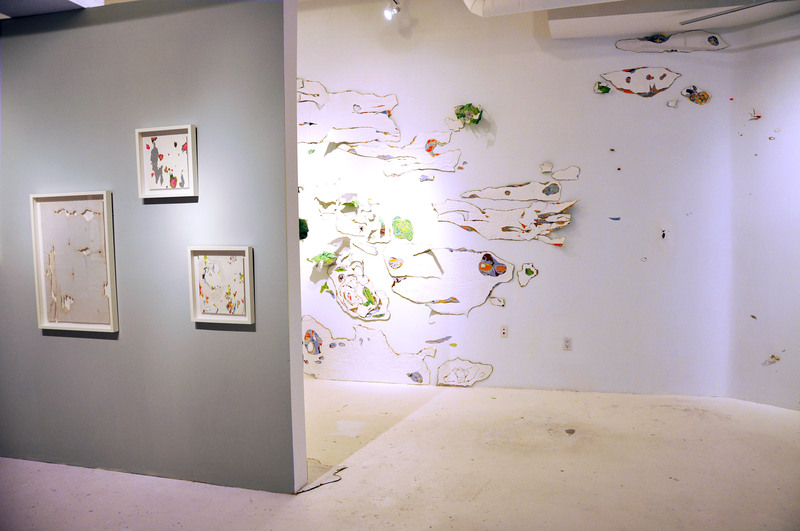 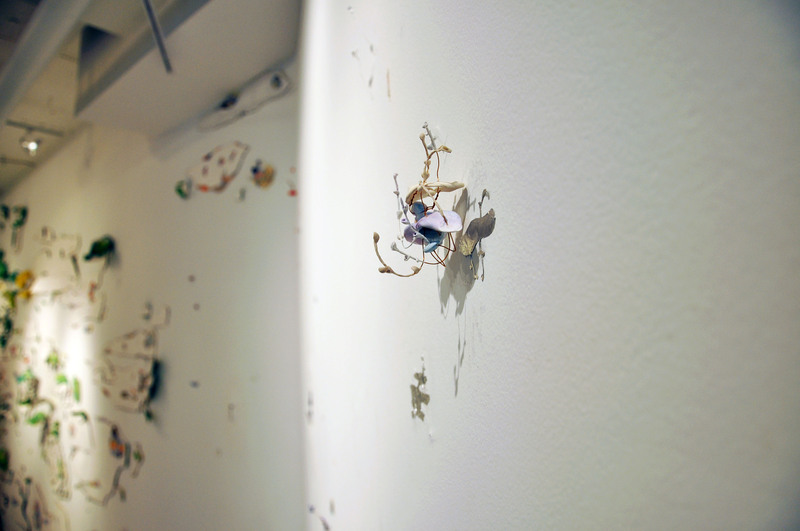 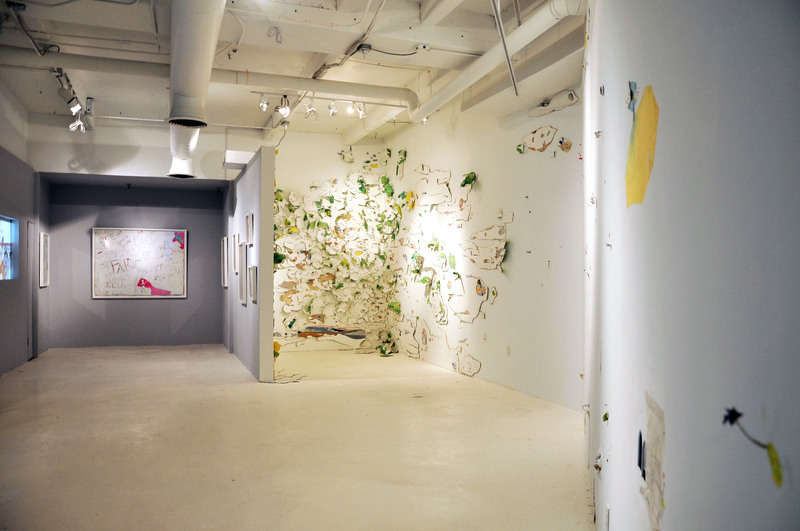 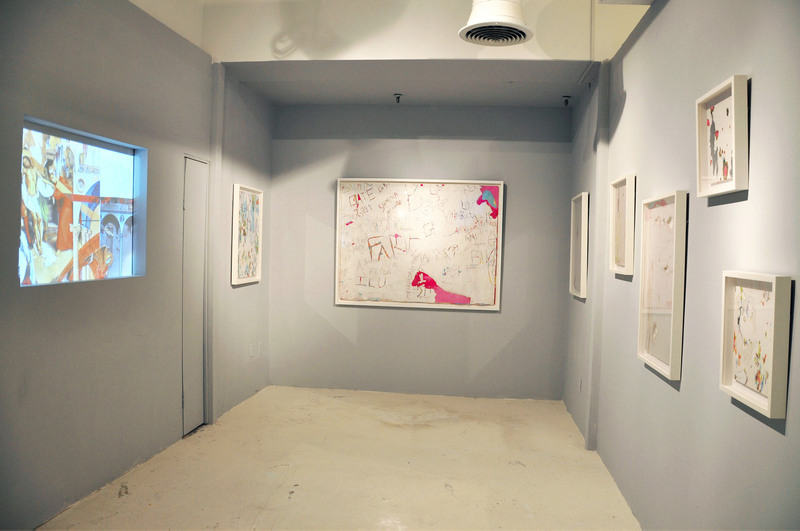 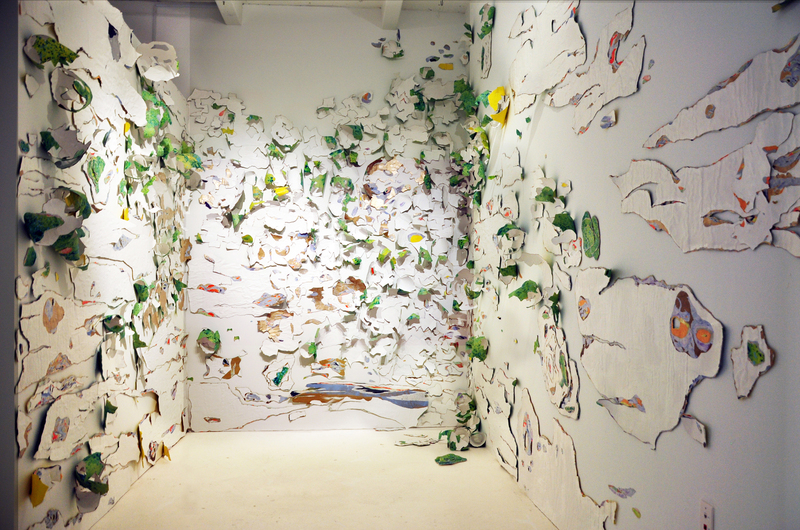 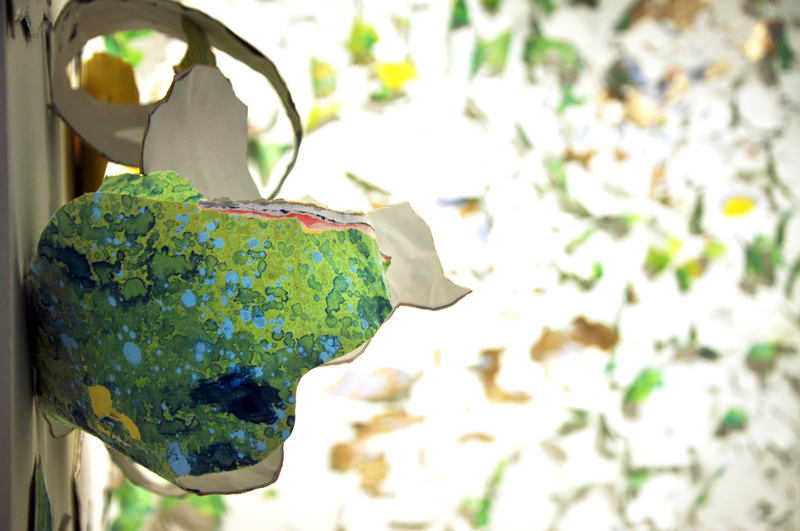 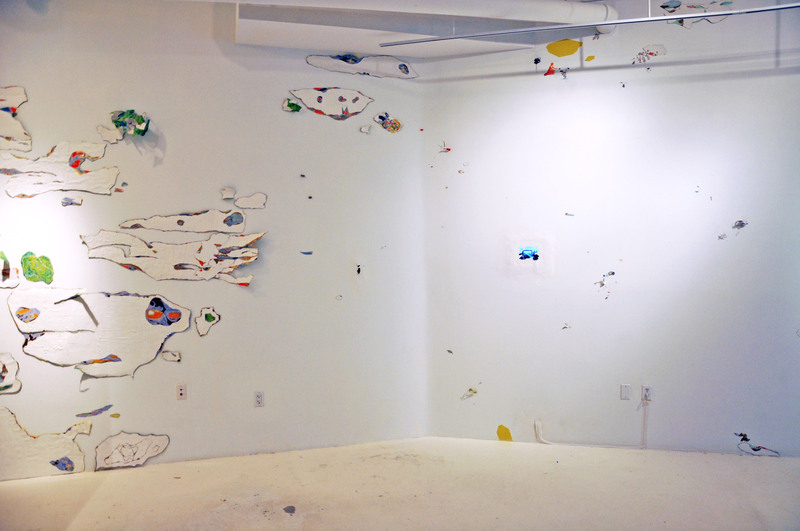 The show also featured installations with layered paper, tiny sculptures in polymer clay, collaged images and layered paper drawings.